Radiotherapy to the head region can include treatment to the brain and optic nerve. 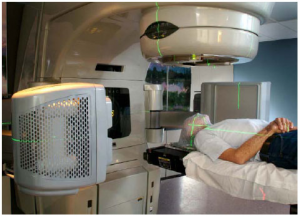 Radiotherapy is the use of high energy X-rays to treat cancer. Radiotherapy works by causing damage to the cancer cells in the treatment area. Although some normal healthy cells are affected, these are able to recover and repair themselves. It is delivered using a machine called a Linear Accelerator (Fig. 1) or Linac for short. In order to give the healthy cells time to recover, your oncology consultant will prescribe a number of radiotherapy treatments, which will be delivered daily from Monday to Friday (sometimes over weekends) over a number of weeks. 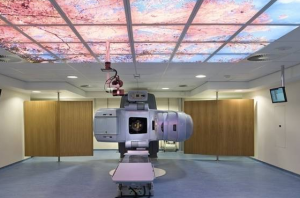 A typical course of radiotherapy for the head lasts between 4-7 weeks and each radiotherapy session can take between 15-20 minutes to position and deliver. Please read this leaflet. Share the information it contains with your partner and family (if you wish) so that they can be of help and support. There may be information they need to know, especially if they are taking care of you following this examination. Before and throughout your radiotherapy treatment, you will be given opportunities to discuss your diagnosis and treatment with your healthcare team looking after you. The side effects you experience when undergoing your radiotherapy treatment are dependent on the area of the head you are having treated. Your Oncology Consultant and other members of your healthcare team will advise as to which side effects you will most likely develop. If you have a beard or moustache you may be required to remove it before your mask is made. If you are undergoing chemotherapy treatment along with radiotherapy treatment you may be required to attend for chemotherapy treatment before you can start your radiotherapy treatment. You may also be having chemotherapy at the same time as your radiotherapy. Your Oncology Consultant or another member of your healthcare team will discuss this with you if it is necessary. Your first appointment with the Radiotherapy department will be for an individual mask to be made for you; as well as a computerised tomography CT scan to be performed (please see Fig. 2 below). A radiographer will meet you to discuss the procedure and also gain your consent. A treatment planner will be present at this appointment and will explain the procedure before your mask is made. Please make them aware of any questions or worries that you may have. Your mask will be made out of a special plastic that becomes flexible when warm. Whilst some may find this procedure uncomfortable, your mask is very important as it will be used every day to keep you in the correct position whilst undergoing your treatment. It also avoids the need for drawing marks on your skin. If you wear dentures or hearing aids it is likely you will need to remove them. You may be required to have an injection during the CT scan to improve the quality of your scan. The injection contains a contrast medium, which is like a dye and shows up some of the organs in your body better. If this is necessary, the radiographer will ask further questions to make sure it is safe for you to have the injection. . If an injection is required, a radiographer will place a needle into your arm or hand and the injection will be given through this once you are on the CT couch. The injection should not cause you any problems but it can create a warm sensation through your body for a few minutes. Usually, it will take 15-20 minutes to make your mask. 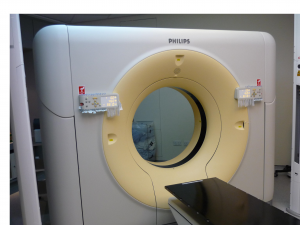 Once your mask has been made you will undergo a CT scan (please see Fig. 3 below) in your mask. This will take approximately 10 minutes. Fig 3. A CT Scanner (Radiotherapy Department photograph). Using your CT scan, treatment planners will work with your oncology consultant to create a unique radiotherapy treatment plan. For more information, please refer to the leaflet ‘Introduction to Radiotherapy CT Planning’. Your oncologist may request for you to also have a Magnetic Resonance Imaging (MRI) scan in your mask; this would take place after your CT Scan (please see Fig. 4 below). 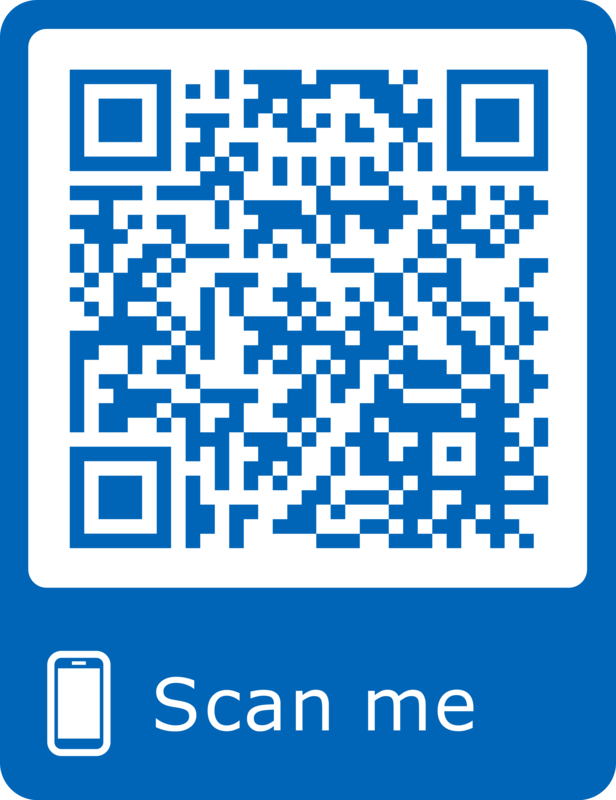 If you need to undergo an MRI scan, a member of staff will show you where you need to go for this scan. Prior to the MRI scan you will need to remove any metal objects. 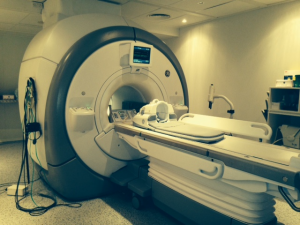 However, the MRI radiographers will explain this and what the procedure involves to you in more detail. Your radiotherapy treatment will be carried out by a team of therapy radiographers. On the first day of your radiotherapy you may be required to have a check to ensure that your mask still fits you. This may be important if you are attending chemotherapy before your radiotherapy. A radiographer will also explain the procedure to you and you will be given the chance to ask any questions you may have. The radiographers will place your mask on you and will check that your position is correct for treatment (please see Fig. 5 below). Fig 5. Delivering Radiotherapy (Radiotherapy Department photograph). The treatment can take between 15-20 minutes to position and deliver. Images will be taken using the same machine to check your position. You may be aware of extra equipment to each side of you (this will not touch you). Once you have completed your treatment, you will be able to go home, unless you have requested to see a member of the Support Team or if a member of the Support Team needs to meet with you. The side effects of radiotherapy will typically continue to build up for 7 days after completion of your treatment. You will be given advice regarding your aftercare when you complete your treatment. This may include follow-up by the Community Team in your area. A follow-up appointment will be made for you to see your Clinical Oncologist in a few weeks’ time. You may also be given a follow up appointment to be seen by the Community Team in your area. After your initial treatment, you will continue to receive long term follow-up with the Neuro-oncology Team. This is likely to involve having another scan at some point as well as seeing the team in the Neuro-oncology Clinic. Your individual management plan will be discussed with you by the doctors and nurses caring for you. Should you require further advice on the issues contained in this leaflet or have any concerns, please do not hesitate to contact the Radiotherapy Information Department on telephone number: (01482) 461206 or the Radiotherapy Nursing Team on telephone number: (01482) 461134. Radiotherapy also affects the normal healthy cells in the treated area. These cells are able to repair and recover from radiotherapy; however, this produces side effects. These may not develop as soon as you start your radiotherapy and may build up gradually throughout your treatment. Your steroid doses may need to be adjusted if these symptoms occur as this will reduce the swelling. You are likely to feel more tired during your radiotherapy. This is a common side effect of the radiotherapy treatment; however, travelling to and from the radiotherapy Department can also contribute to this. To help with fatigue it is important to listen to your body, it may help if you can plan your day so that you have time to rest and do things that are important to you when you feel less tired. However, you will need to plan your day around your treatment. You may need help with your everyday activities such as shopping, laundry and meal preparation. Family, friends and neighbours are often glad of the chance to lend a helping hand. The skin in the treated area will gradually become dry and slightly reddened, very much like It may even peel or weep. Your Healthcare Team will advise you on how to take care of your skin. Hair loss in the treated area can be very distressing, as it is important to everyone’s appearance and self-image. Hair roots directly within the treatment area will be damaged by radiotherapy causing the hair to fall out. Hair loss is usually temporary and it will grow back; however, it may not be as thick as it was before your treatment. The time it takes and the way it grows back depends on the dose of radiotherapy you have received. If your ear is included in the treated area, your hearing may be affected by the radiotherapy treatment. This is due to swelling inside your ear and will return too normal a few weeks after treatment has finished. Inside the ear may feel dry, sore and/or itchy, this is a normal reaction which will settle down when the treatment has finished. During your treatment and for a short period afterwards your appearance may be affected. As mentioned the skin mimics a severe sunburn appearance, which can be difficult to conceal when treating the face and neck. However, following treatment, the skin will heal with no permanent disfigurement. Please speak to the radiographers, doctors or nurses as soon as you notice any change in symptoms. Clinical Oncologist: this is your doctor who is an expert in radiotherapy and will be managing your treatment. They will take responsibility for deciding and recommending what dose and how many treatments will be best for you, and oversee the planning of your treatment. You may see them or a member of their team at your initial planning appointment and you can see them during your treatment if you have any problems or queries. Radiographers: Therapy Radiographers are specialist healthcare professionals who are trained to plan and deliver radiotherapy treatment and to use the specialised equipment. You will usually see the same team of radiographers on a daily basis and they can help you with any questions or problems or refer you to another member of the team as necessary. Clinical Nurse Specialist: is your key worker who is responsible for co-ordinating your care throughout the treatment pathway. Specialist Nurses: the nursing team consists of Radiotherapy Nurse Practitioners, experienced Registered Nurses and Clinical Support Workers. The team actively supports all patients receiving radiotherapy treatment. They will make appropriate referrals and offer advice on any problems patients and their families may have. Oncology Health Centre: this informal drop-in centre is for patients and their families and it is located near the main reception of the Queen’s Centre. Staff members in the centre have been trained to teach various self-help techniques, such as relaxation therapy and guided imagery.